Gift Certificate sales mean new clients on your table, clients that will probably rebook, and refer their friends and family. Most massage and spa therapists have “gift certificates available” but smart therapists have a marketing plan and know that gift certificate sales can be a significant source of income and new client, without discounting. Imagine checking your email and realizing you made sales while you were sleeping! That is a great feeling. 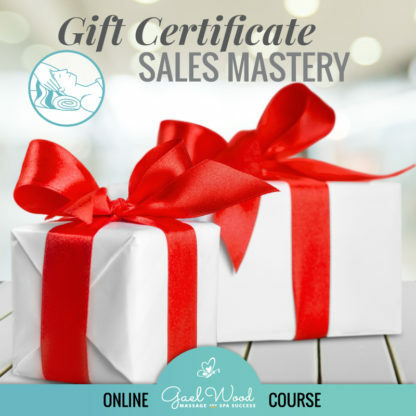 I’ve sold up to $11,000 in Gift Certificates in one holiday season, by just doing a few simple marketing tasks, and you can too! A solo therapist selling 25-50 gift certificates and retaining new clients can earn $2,000-$3000 this holiday season plus income that adds up over time. Get your plan together, start marketing, and have the best gift certificate season ever!